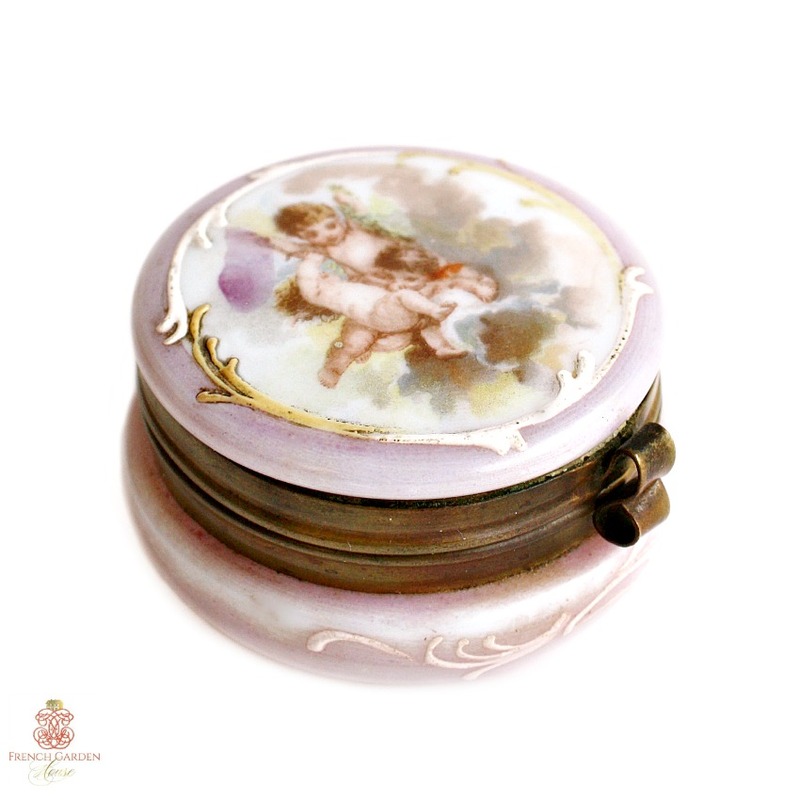 Gorgeous Opalescent Glass Powder Jar that dates from the last quarter of the 1800's. 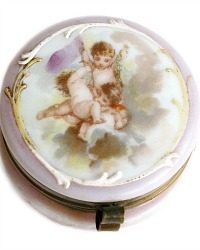 A soft lilac color, with three putti frolicking on clouds on the lid. 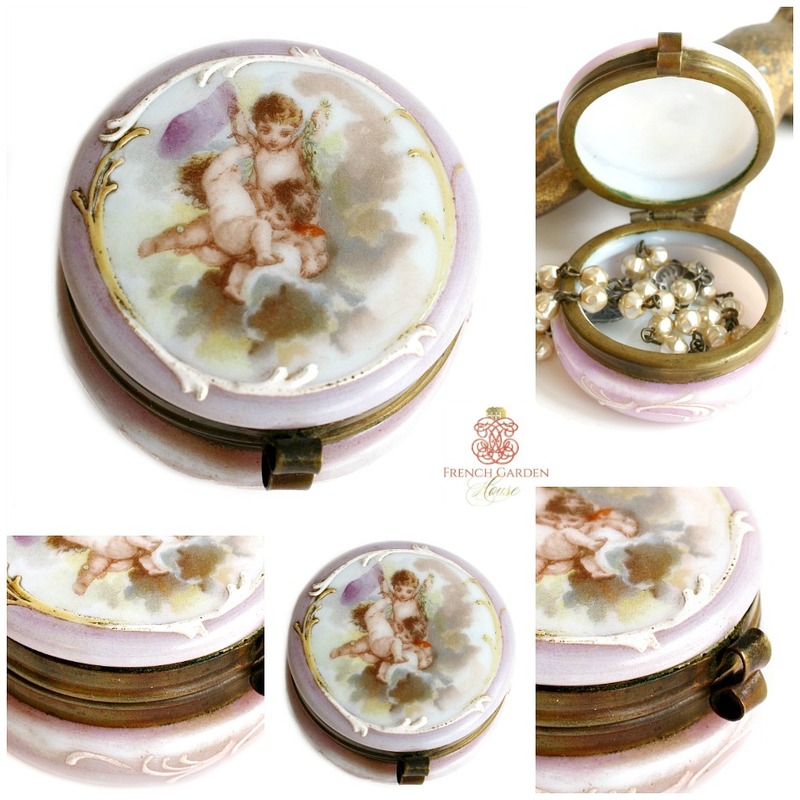 Surrounded by hand painted enamel embellishments on the central scene, and the bottom part of the jar. The gilt ormolu fittings surround the box, the closure works well. The glass is so finely made that it is translucent. Wear to the gilding on the mounts. 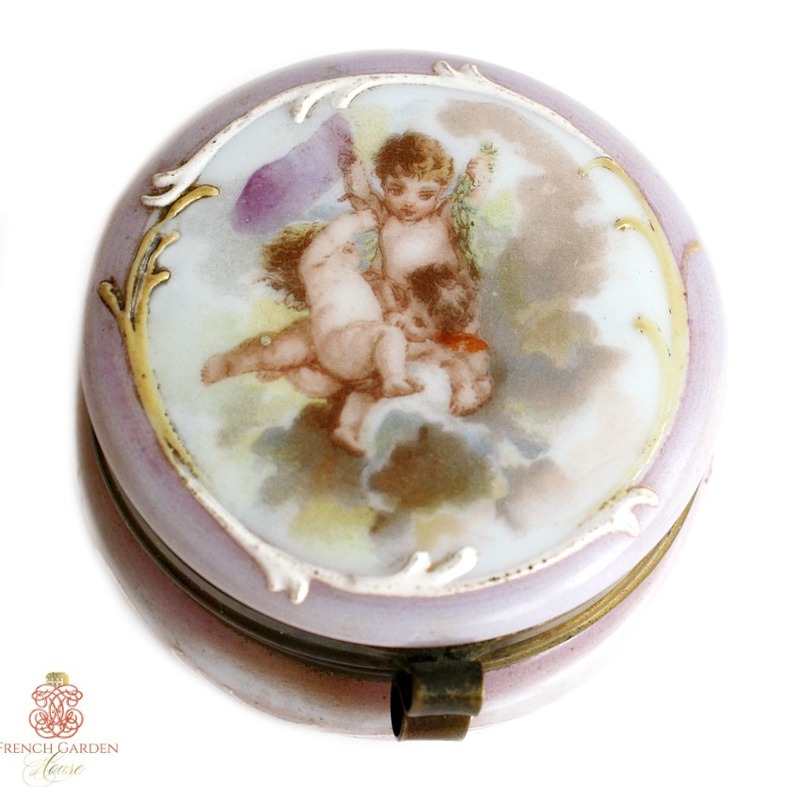 A divine and quite decorative addition to your collection of antique vanity, powder and dresser boxes and jars. Rare to find these days in any condition, this is a petit treasure!